What, you’ve never heard of this French Ferrari F40? There are so few deals to be found on the international auction stage. A great number of cars advertised by top auction houses are primo, cream-of-the-crop icons, serving as safe, low-mileage buys that usually command at or above typical market value. However, if you’re willing to get a little weird and drive off the beaten tarmac, there are good buys that slip through the cracks, usually as a result of potential buyers not able to gauge the value of a strange one-off or special edition. 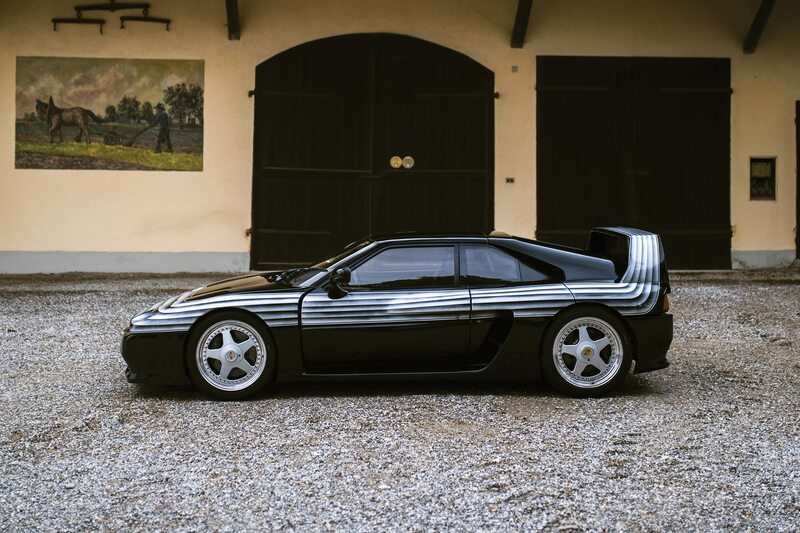 Case in point: When the hammer fell on a 1994 Venturi 400 GT Trophy at RM Sotheby’s recent Paris 2019 sale, the rare and enigmatic French supercar went home with a new buyer for just around $150,000. For a brief period in the late 1980s through the mid 1990s, it looked as if Venturi would realistically become a serious competitor in the supercar arena. 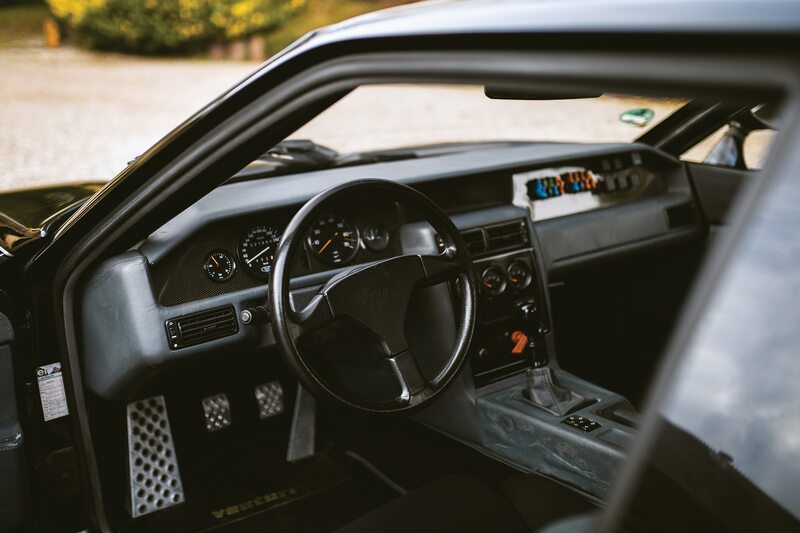 It certainly had the performance and motorsports chops, having secured a start at multiple 24 Hours of Le Mans and launched a successful one-make race series called the Venturi Gentlemen Drivers Trophy. GT racing mega-whiz Stéphane Ratel was the driving force behind the latter, likely using it as a stepping stone to help develop the existing suite of GT4 and Blancpain GT series managed by his organization. The cars used in the spec race were all MVS Venturi 400 GT Trophys, the predecessor to the later Atlantique coupe. Power came from a mid-mounted twin-turbocharged variant of the inescapable Peugeot-Renault-Volvo (PRV) V-6, the bones of which can be found in the back of the DeLorean DMC-12 and the Renault Alpine A310. In the 400 GT, the normally anemic PRV is boosted to just over 400 horsepower, routed to the rear wheels through a manual transmission. Owing partly to Venturi’s relative obscurity, there isn’t much reliable info around the 400 GT, but it seems a number of the Trophy cars were converted to roadgoing spec with more interior amenities and day-to-day hardware. Still, these streetbound Venturis retained much of the original performance and race-ready gear. So, here we have a low-volume, mid-engine, twin-turbo homologation supercar with excellent performance, killer presence, and honest-to-goodness racing pedigree. You’d think these things would change hands for close to seven figures, right? Apparently not. RM Sotheby’s just sold this excellent 1994 example for a piddling $150,000. Compare this to the $5.5 million someone dropped for a 1987 Ferrari F40 LM. Sure, that was one of the few LMs with actual race history, but the closest it came to tasting champagne was a 12th-place finish at the 1995 24 Hours of Le Mans. Nearly all Venturi 400 GTs come with some manner of race history, and were designed with competition from the get-go. The Venturi in question is quite the example. 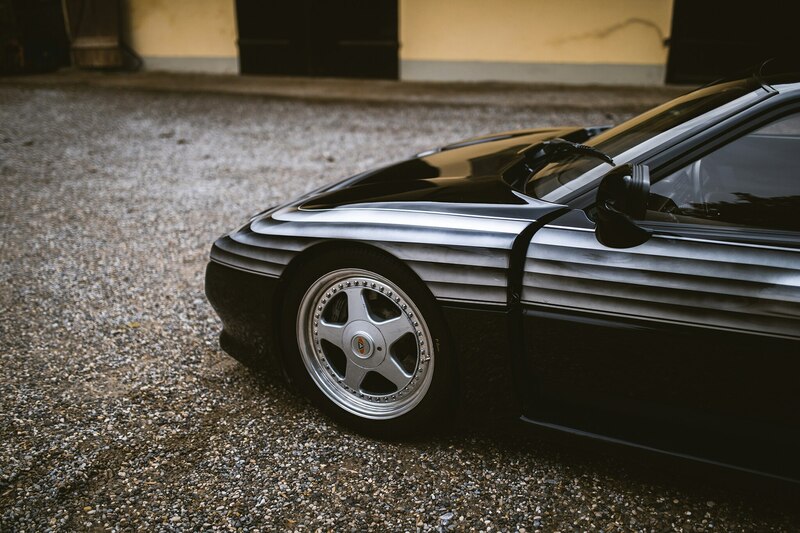 Ordered new by Herve Poulain, a major figure at Artcurial and the driving force behind the famed BMW art cars, the Venturi received a stunning gradient paint scheme from artist Jean-Yves Lacroix. According to the auction listing, the design was inspired by the “Pasha de Cartier” perfume. The car was used in the Trophy series for three seasons between 1993 and 1995, where it was driven by Poulain and racer Olivier Grouillard. While Venturi was still operating, this was used in brochures and advertisements for the brand. 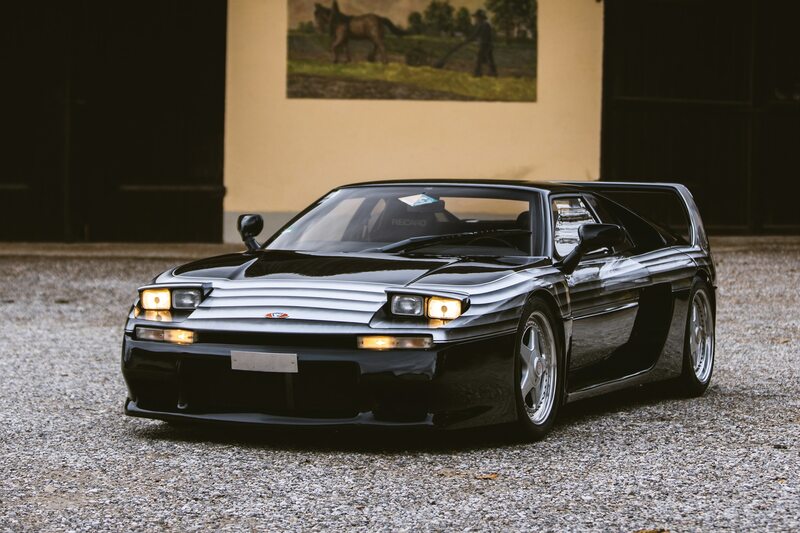 Keep your eyes peeled for another Venturi 400 GT to be offered up. You just might be in line to snag a smokin’ deal.